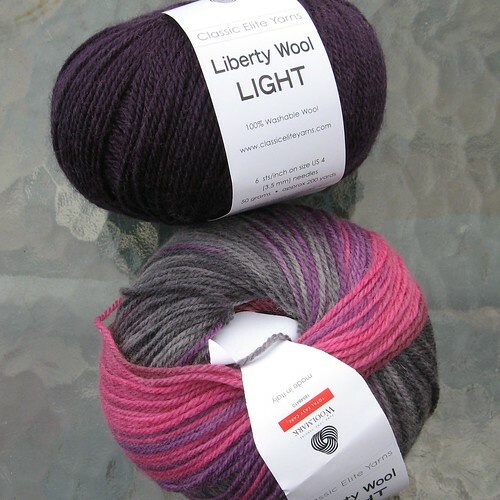 I’ve been waiting and waiting for the solid colors of Liberty Wool Light to come out … lucky me, here they are! I bought yarn for two different double-knitting projects: Fractal Cowl by Emily Peters, and Open for Business by Alasdair Post-Quinn. 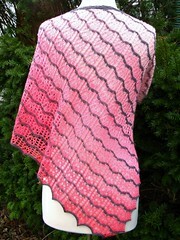 The Fractal Cowl is knit in the round, with a straight-up double-knitting pattern. I’m doing this one first to learn more about double-knitting, before I tackle the “Open/Closed” sign (which has a different pattern on the front and back). Interesting rainbow effect in that second ball. Love all the new wools, don’t you! That is going to be so gorgeous. I can’t wait to see it in progress! !